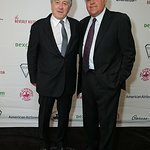 Amid ongoing tensions in Israel, American Friends of Magen David Adom (AFMDA) hosted its sixth annual Red Star Ball at The Beverly Hilton on Tuesday, October 30. 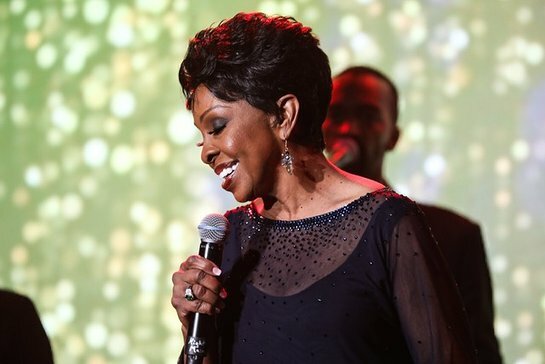 For the first time in the event’s history, the gala featured a musical performance by the Empress of Soul, Gladys Knight. The attendees were also treated to performances by Israeli superstar, Ninet Tayeb; French music ensemble, Chico & The Gypsies; and comedian and actor, Andrew Dice Clay. Esteemed guests included Mike Shouhed of Shahs of Sunset, Ryan Kavanaugh of Relativity Media, Meyer Luskin, Yossi Dina, David Suissa. The night honored the lifesaving work of Magen David Adom’s medics in Israel and around the world. AFMDA also recognized Steven Mizel as Humanitarian of the Year, Ruthi and Elliott Kahn with the Next Generation Leadership Award, and Jacqueline Goldman with the Lifetime Achievement Award. Proceeds from the Red Star Ball will go toward ambulances, emergency medical supplies, and the construction of MDA’s new National Blood Services Center. This state-of-the-art, underground facility — the world’s first — will protect Israel’s entire blood supply from terror attacks and natural disasters while continuing to provide 100 percent of all the blood for the Israel Defense Forces and 97 percent of the blood used by Israel’s hospitals. Magen David Adom (MDA) is Israel’s national ambulance, blood-services, and disaster relief organization, serving as emergency medical first-responders for the state’s 8.6 million people. Like other Red Cross societies, Magen David Adom is a nonprofit organization and relies on funding from donors around the world. AFMDA is MDA’s U.S.-based fundraising affiliate, raising more than 80% of the charitable dollars MDA receives annually. www.afmda.org.